Here you can find used gear -. 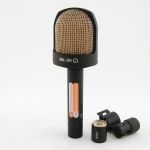 from our studio, demo items or trade-ins. From time to time you will also find sought-after vintage gear. Ecxept were indicated all goods are tested and in working condition. High End mono amplifier hand made in germany. Makes passive speakers become a real high end monitor solution! 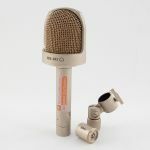 The Oktava tube-microphone classic, now available with a new developed power supply. The best priced possibility for classic musical tube sound!